use, develop, and preserve unique U.S. resources and capabilities. Toohig fellowship in accelerator science for recent PhDs in physics or engineering. HQ Magnet achieves goal (press release)! Joint HiLumi/LARP Meeting, week of November 11-15, 2013, Daresbury Laboratory, Daresbury, England. 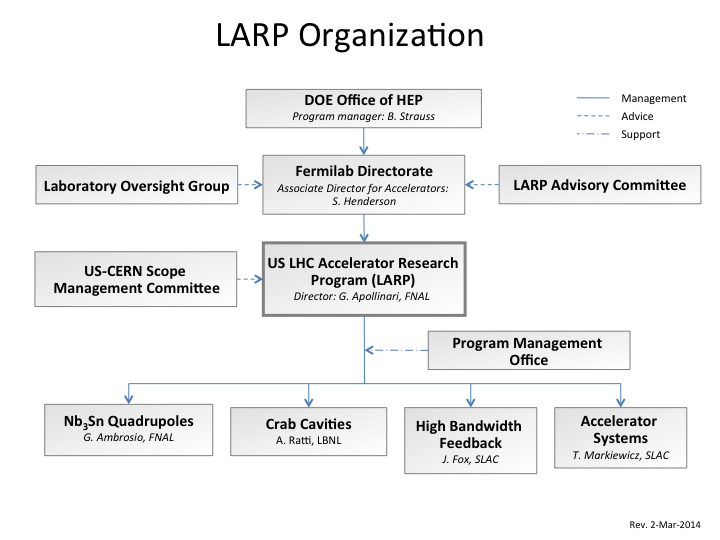 Review of Proposed LARP Contributions to the LHC Luminosity Upgrade, June 10th, 2013, FNAL.